You can also hear us on the American Forces Network on military bases and ships around the world! Can’t find a station near you? 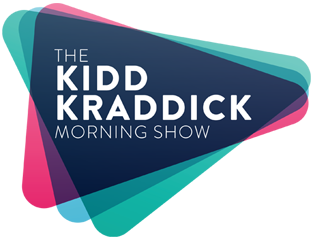 Tell your local stations you NEED Kidd Kraddick in the Morning in your city! Until then, you can watch live on KiddTV, download the Podcast from AudioBoom or listen to the whole show on the kPod. Sorry, we are not in your state right now but check out our kPod and KiddTV. Guess Who Went To Coachella?! Part-Time Justin’s Night At The Avengers Movie! Forgetting Makes Us Feel Good! The biggest horse race in all of KiddNation returns! Psycho Shanon Joins Us In-Studio! Lil Dicky Calls The Show! Meet The Beautiful Women From The New Bravo Show, Texicanas! Interview With Zachary Levi From SHAZAM!